As our patients know, we enjoy sharing our love of nature in our practice. The color themes and artwork in our office reflect local wildlife and the hues of the sea. Our website (www.MitchellDentist.com) also displays a beach theme. So when it came time to plan the staff photo shoot, what could be a more natural setting for us than our local beaches? The overall goal is to update our website with the new photos featuring our highly talented hygiene team, amazing assistants, and fabulous front desk staff. Instead of traditional, in-front-of-a-screen headshots, we decided on a more natural approach. When it came down to the details, everyone contributed their suggestions – from what to wear, to the backdrops, to the water side location. The day of the Friday photo shoot finally arrived, and all 16 of us set out to the Outrigger Resort on Fort Myers Beach. The sun was shining, the water shone azure blue – you could not have asked for a better day. After a little touch up on hair and makeup, everyone was ready to go, and our talented photographer, Ilene Safron of Mainsail Productions started shooting individual and group shots of our entire staff. As the sun rose higher in the sky, we took a fun and festive lunch break at the resort’s outdoor restaurant. The staff was friendly and accommodating, adding another enjoyable element to the day. We closed the day with some fun shots at the water’s edge before everyone went home for the weekend. Watch our website for an updated new look coming soon! At Mitchell Dentistry, most of our patients who visit our office around the holiday season are familiar with our Holiday Toy Drive to benefit the Dr. Piper Center for Social Services, a 100+ year old Southwest Florida organization that helps our region’s children and elderly. Year after year, you may have seen our playpen overflowing with gifts donated so generously by our patients and staff, you may have even donated yourself, and you may have seen signs in our office encouraging patients to donate. We often hear the question, “Who is Dr. Piper?” At that point, we usually direct patients to the website DrPiperCenter.org, or we give a brief explanation of what we know. This year, we thought it might be more helpful to provide her official bio provided by the Dr. Piper Center. It is a most interesting story about an extraordinary person set in the fascinating history of the City of Fort Myers during extraordinary times. 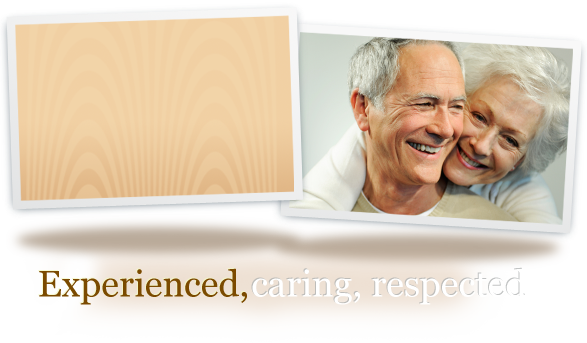 For Mitchell Dentistry, with our families and practice rooted here in Fort Myers for many decades, our affinity for this organization is closely related to our broad and deep connection to our community. We appreciate the hundreds of volunteers who help our local children and elderly, and make our community a better place to live, work and play. Dr. Ella Mae Piper was born in Brunswick; Georgia (near the Florida line) March 8, 1884; the only daughter of Ned Bailer and Sarah Williams. Mrs. Piper died on June 13, 1954. She was a well-known civic worker and businesswoman, who established the first beauty parlor and chiropody office in Fort Myers 69 years ago. She attended Spellman College in Atlanta, Georgia and graduated from Rohrer’s world-famous Institute of Beauty Culture located in New York City. She graduated August 25, 1915. Her name then was Ella M. Jones. She majored in body massage and Swedish movements and was a well-known Chiropodist (foot doctor). She arrived in Fort Myers in 1915 where she opened her first beauty shop located on Jackson Street across from Englehart’s Mortuary. Later the beauty shop was moved to Hendry Street where she also began the practice of Chiropody. In 1916, Dr. Piper moved her business to 1819 Evans Avenue near her home. She also owned the Big 4 Bottling Company located on Mango and Evans. The community enjoyed Big 4 soft drinks for five cents a bottle. Dr. Ella Piper held annual Christmas tree parties for children of Dunbar Heights. Her mother, Sarah Williams, started this event in 1915 while employed in the H. E. Heitman home. Thus began an institute over the years that grew from an original gathering of 15 little girls to some 600 boys and girls who romped over her lawn at 1771 Evans Avenue every December 25th. ​When Dr. Piper’s mother died in 1926, Ella carried on the Annual Christmas Party with the assistance of many churches, businesses, and many community friends who assisted with contributions and gifts for the youngsters. The annual Christmas Tree Party has continued uninterrupted since Dr. Piper’s death through the faithful efforts of local citizens. In Dunbar Heights, she was a Grand Lodge Officer and Executive Board member for 26 years of the Elks Lodge. She also served as a state officer. She was the founder of the Tranquillo Temple and organized the Triple City Council and served as Deputy of the District. She was a member of Mt. Olive Church and the Pioneer’s Club. She assisted in building the Old Dunbar School in 1926. ​Dr. Ella Piper was known as a philanthropist. She was instrumental in helping young people in obtaining scholarships to attend Tuskegee College, using her personal money to help some of these students. Dr. Ella Piper was well-known throughout the community and often aided elderly persons, particularly the underprivileged and handicapped. It was this interest, along with the interest of children that led her to leave her property to the City of Fort Myers for the benefit of young children and senior citizens.